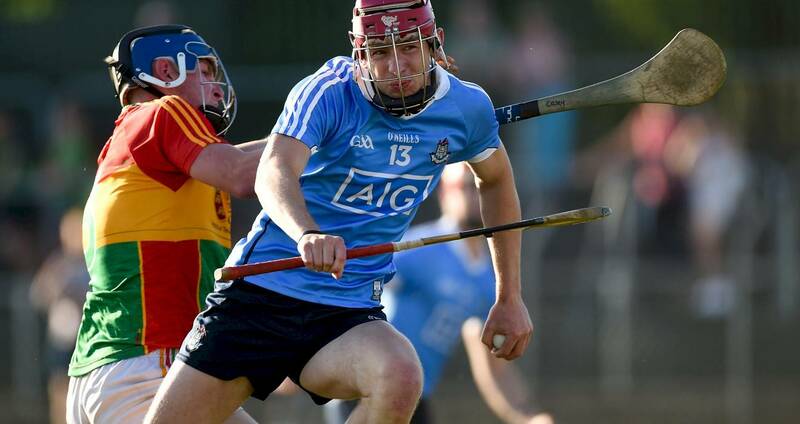 Dublin’s under-21 hurlers comprehensively defeated Carlow in Wednesday night’s Bord Gáis Energy Leinster U21HC Round 2 clash at Netwatch Cullen Park. Paul O’Brien’s side now progress to a Leinster quarter-final against Westmeath in Mullinar next Wednesday night (7.30), Offaly host Galway in their other quarter-final with Wexford and Kilkenny awaiting in the Leinster semi-finals. The winners of Dublin’s clash versus Westmeath will meet the Slaneysiders in the last-four. Dublin led by six points at the break against the Barrowsiders, 0-12 to 0-6, before powering to a 18-point victory with four second-half goals. Paul Crummey raised Dublin’s first green flag immediately on the restart with Cian O’Sullivan and sub Cillian Costello adding the second and third to lead 3-13 to 0-9 by the 43rd minute. Two minutes from time Eoghan Dunne scored an excellent solo goal as he finished with a personal tally of 1-3, with 12 different players contributing to Dublin’s overall tally. SCORERS - Dublin: E Dunne 1-3, P Crummey 1-2, C Currie 0-4 (0-3f), C Costello 1-1, C O’Sullivan 1-0, E Conroy 0-2, J McGuirk, D Keogh, C Dowling, R Hayes, C Burke, S McCaw 0-1 each. Carlow: C Nolan 0-11 (0-7f), C Whelan 0-1 (f). DUBLIN: D Perry; C Hendricken, S Howard, P Smyth; E Conroy, C Burke, D Gray; J McGuirk, D Keogh; C Dowling, E Dunne, R Hayes; C Currie, C O'Sullivan, P Crummey. Subs: J McVeigh for Smyth (27), C Costello for Dowling (ht), S McCaw for Keogh (37), O Lanigan for McGuirk (42). CARLOW: T Dowling; J Wall, D Tobin, D Connors; A Casey, O Roberts, E Redmond; N Lynham, K McDonald; C Tracey, J Nolan, P Hynes; C Whelan, P Connors, C Nolan. Subs: A Amond for Wall (18), A Whelan for Tracey (36), N Galway for Lynham (50).